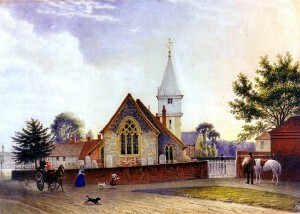 St Mary’s was almost completely rebuilt from 1857, the peak year for the building and rebuilding of churches across the country during an evangelical revival of the Church of England, due to the authorities realising that parish churches had been neglected for decades. Its site is an ancient one occupying the only significant point of high ground in Datchet, and may have been a pre-Christian fortified settlement. It would have existed as a timber building in Saxon times and was probably built in stone by the 1200s. Nothing now remains from this medieval church, and only the chancel (the east end containing the altar) is in the same position and of the same size as it was previously. 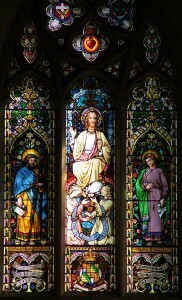 In the two paintings by William Corden the east window appears to be the same after the rebuilding as before, and the intention had been to keep the original 1350 Gothic shape and tracery if possible. However, when work began it was found to have deteriorated too badly to re-use and an exact copy of the window was made instead. The plan shows how the church was rebuilt piecemeal as money was raised locally, including £150 from Queen Victoria. 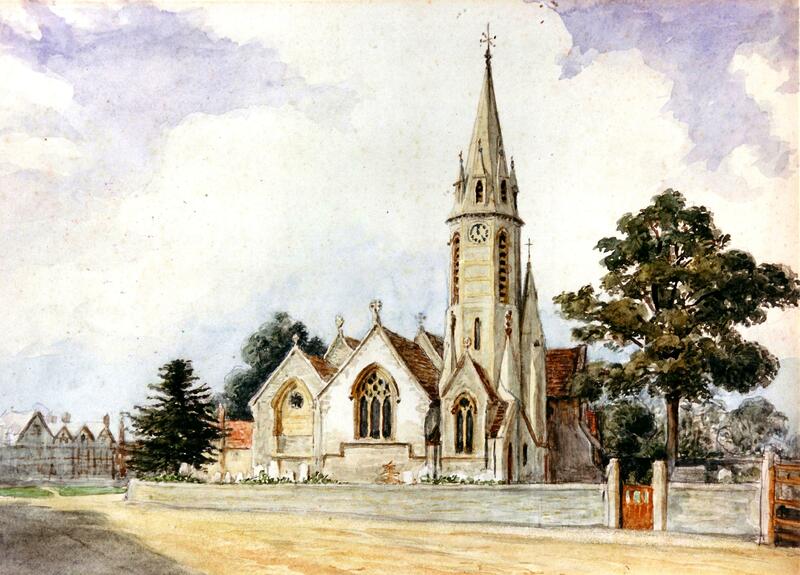 At the outset, the Vicar Henry Francis Udney Hall had hoped to demolish the building completely but that proved too expensive and he had to settle for a sequence of gradual renovation and extension. 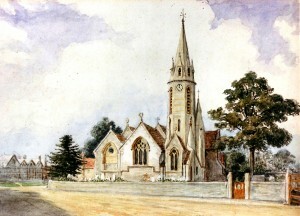 The architect was Raphael Brandon who designed it in a Gothic style thought to be suitably plain for a village church. 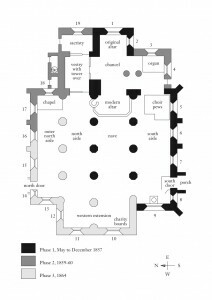 During the first phase of work the old have and south aisle were demolished and rebuilt, and the chancel re-faced, and this was the only period during which the church had to be closed and services were held in the school. In phase two the old tower at the west end was replaced by a much taller one at the east, but its interior structure was not strong enough to swing the original bells safely. The blacksmith made a device by which they could be struck with hammers instead – as they still are by a modern mechanism. The final phase of rebuilding, and many of the interior fittings, were paid for by Rev Hall and his wife who were personally very wealthy indeed. The resulting building is a strange shape, with a most unusual outer north aisle and a western extension making the building as large as possible on its site. More space was said to be needed ‘for the families of working men’, a reminder that class distinctions were paramount, and that the poor were not expected to be within sight (or smell) of their betters. 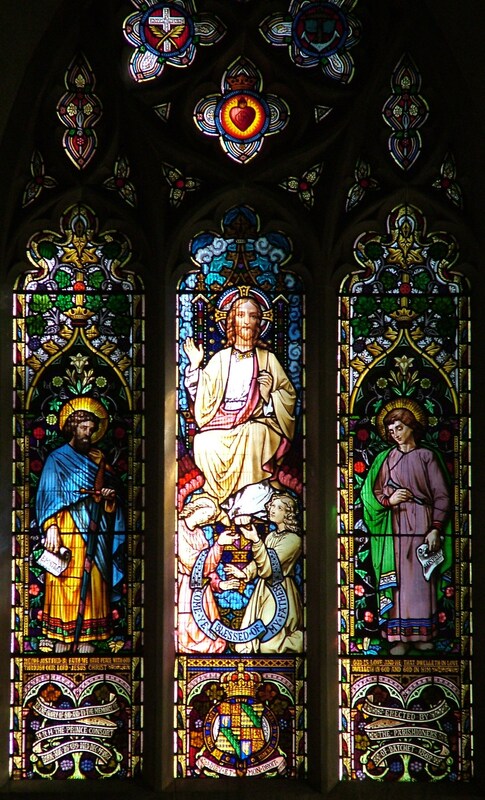 By the time Prince Albert died in December 1861 the main parts of the church were finished, but its windows were just filled with plain glass. During the national outpouring of grief and shock at his early death, Datchet’s churchgoers began fund-raising for a stained glass memorial to him in the east window, made by the glass firm O’Connor. 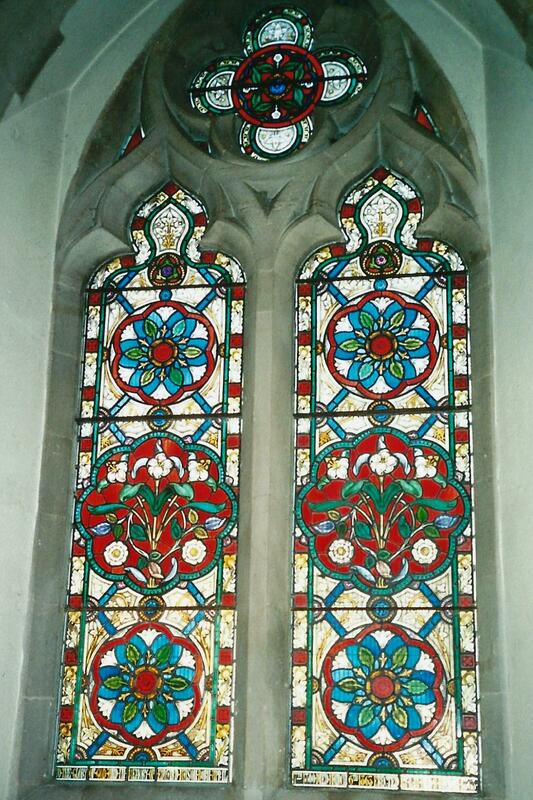 In 1862 it was installed, together with another figurative window and two with geometric designs also dedicated to Albert and by the same maker. 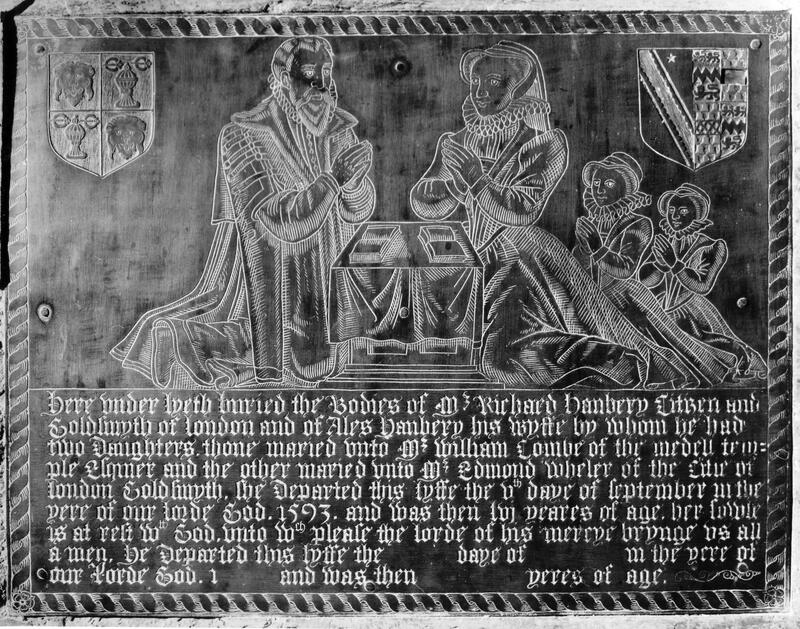 This began the fashion for ‘obituary’ glass among wealthy local families, which was being encouraged by the Church of England to beautify all the new and rebuilt churches. 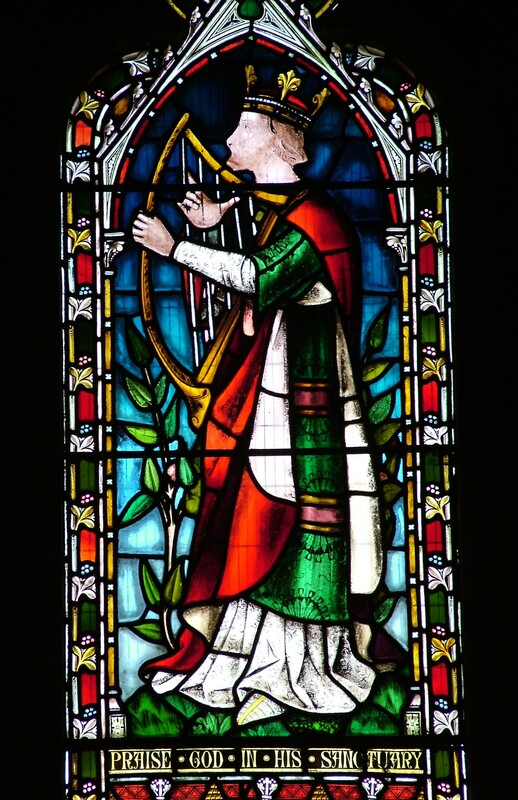 Within the next decade the rest of St Mary’s windows were filled with designs by O’Connor and by the firm Lavers & Barraud, all dedicated as memorials to the deceased by their families. 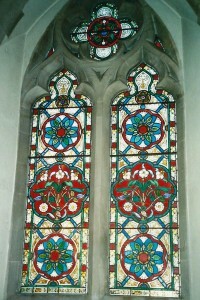 Datchet is very unusual indeed in having such a complete surviving glass scheme by important glass makers of the period and within so few years. The bright and dramatic colours fell out of fashion quite quickly as the Arts & Crafts style gained popularity, and Victorian glass of this type remained of little interest until recently, but is now being both studied and appreciated. As far as possible the wall memorials from the old church were replaced in their original positions in the chancel after re-surfacing was completed. At some time in the 20th century most of the great marble slabs, or ledger stones, were lifted from their original places over burials beneath the church floor in the rest of the church and re-sited in and around the chancel.